Aloha! 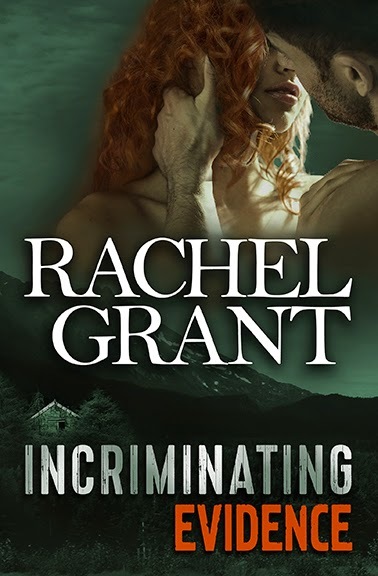 Rachel Grant joins us today to celebrate the release of INCRIMINATING EVIDENCE, Book 4 in her Evidence series. She joined us last year (link) - we chatted about being a professional archaeologist and living in Hawaii. More recently, Rachel discovered I attended Countryside High School (courtesy of Facebook) ... naturally, I invited her back for another chat! Kim: Blast from our past! We are both "Cougars" from Clearwater .... looking back at high school, what did you see in your future? Rachel: My senior year at CHS, I was editor of the school literary magazine, The Laureate, and one of the creative writing exercises we were given to kill time after the magazine was put to bed was to write about where we saw ourselves at our 10 year high school reunion. If I remember correctly, I wrote that in ten years I’d be married to Patrick Swayze and an author. I was kidding about Patrick Swayze (at the time my crush was more Rob Lowe, but Dirty Dancing gave my senior year a soundtrack), but I knew I wanted to be a writer. 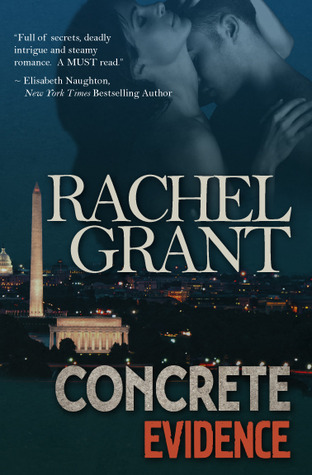 I missed my 10 year reunion because at the time I was newly married (with no regrets that my husband is neither Swayze or Lowe) and had moved to Washington, D.C., where I worked as an archaeologist in an office that later became the model for Talon & Drake in Concrete Evidence. I’ve tried to find my high school creative writing teacher – Ms. Ceraolo-O’Donnell (did you have her?) – I’d love to let her know I did go on to become an author, but haven’t had any luck so far. Kim: Funny that we both graduated from the same high school, lived on the same Hawaiian island, and both love romance. When/who/how did you discover the enticing world of romance? Rachel: It started with sneak-reading my older sister’s copy of Ashes in the Wind by Kathleen Woodiwiss when I was about 13. Then, when I was fifteen and the new kid at CHS (we moved right before my sophomore year) I met Diana, another new student, who unabashedly read historical romance and introduced me to Jude Deveraux, Johanna Lindsey, Shirlee Busbee, Jennifer Blake, and Laurie McBain. Imagine my fangirl moment when Shirlee Busbee followed me on Twitter! Now multiply it by 10 when I was included in a box set with Jennifer Blake! Kim: (reading over her bio), My husband loves THE PRINCESS BRIDE. What's your favorite character/scene/line? Tell us about INCRIMINATING EVIDENCE - what inspired it? Rachel: After writing Body of Evidence, I toyed with the idea of taking a character who was similar to a previous villain and make him the hero. I couldn’t redeem an actual villain (my villains are unredeemable) my idea was to have a man in the same profession as a previous villain. My first thought was to redeem a treasure hunter (Concrete Evidence), but this would be difficult, because treasure hunting is just about the worst thing an archaeologist can do. The CEO of Raptor, a mercenary organization (Body of Evidence), was my next choice, and once I knew Alec’s profession, the story grew from there. I still might write my treasure hunter hero someday, if I can figure out how to make it work. But really, treasure hunters are bad guys, no matter what everyone else says. Want to know more about Incriminating Evidence? Here is the blurb. You can read an excerpt here. Kim: What's next for Rachel Grant? Rachel: The next book in the Evidence Series, Covert Evidence, is written. The heroine is Cressida Porter, a character introduced in Withholding Evidence. Cressida gets in trouble while on a research trip in Turkey, and must put her trust in a handsome American spy to survive. 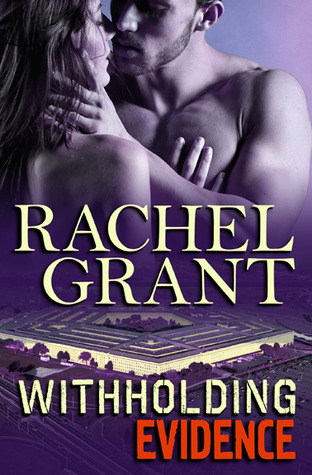 No release date yet, but readers who sign up for my new release mailing list will be the first to know when it’s available, Rachel-Grant.net. Thank you so much for having me Kim! 1. Leave a comment about high school, Princess Bride, or archaeology. I was a geek in high school although I did earn a letter in Track. My family enjoys Fight School (link) at the Maryland Renaissance Festival - they reenact the famous sword scene from The Princess Bride. I wanted to be an archaeologist ... the closest to that dream was visiting Egypt in 2004 as a tourist. 2. Comments are open through Saturday, April 11, 10 pm in Baltimore. 3. I'll post the winner on Sunday, April 12. I was a writer for our high school newspaper, loved seeing The Princess Bride with my friends when it came out in the theaters, and my step daughter is finishing up a degree in archaeology. Both lol except I was older when I saw Princess Bride but I've always been fascinating with Egypt and now some other sites that I've been reading about. The Princess Bride is one of our favorites. We love watching that movie. What I would give to be back in high school. I looooved Princess Bride. The girlie friends and I watched it too many times to count :) in a weird twist, I have a paperback and digital copy of the book but haven't read it. Huh... gotta get on that! Thanks for sharing! I went to CHS--Christiana High. My friend from CHS introduced me to the Princess Bride movie after college--on Valentine's Day. At one point in my crazy teenage life in the 80s, I thought I wanted to be an archaeologist. Thank you so much for the fun interview, Kim! I've always wanted to go to Egypt--so jealous!! Princess Bride is by far the best movie ever made. :) I have the book - and it is much different - but I still love both. The closest I have gotten to uncovering old stuff (lol) is going to Israel twice and seeing all the ruins and great history over there. Our High Schools in England were a lot different from yours. Of course, things there have changed a lot, and the schools have adopted a lot of the American ways, i.e. dances, proms, etc. I know I wouldn't want to go back to the high school years for anything. Don't think I've seen The Princess Bride.